This wet mop head is built to last. Its durable construction can withstand up to 100 commercial laundering cycles. 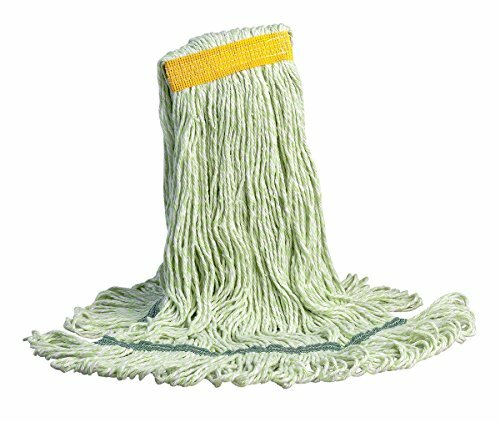 Great for your environmentally-conscious businesses, this mop head is also made up of up to 100% recycled material. Prevent cross-contamination in your restaurant, bar, or institution by designating this green mop head for food service areas such as the kitchen. Easily recognizable, it will prevent confusion and keep your cleaning routine simple. Plus, the looped tailband allows the mop head to cover more surface area, enabling employees to clean larger areas more efficiently.